I took todays contenders for marry, date or dump straight from the pages of the New York Times YA Bestseller list. Without giving away any spoilers from these books, let me assure you each of these three men is more than swoon-worthy. Augustus Waters woos Hazel in John Green’s The Fault in Our Stars with an unending supply of witty quips, living metaphors, and a shared taste in books. Park from Eleanor & Park is a quiet and sensitive fan of comics and music. And Adam is the rock’n’roll, not-so-bad, bad boy in If I Stay, by Gayle Forman. I’ve reviewed all three books, and fallen at least a little in love with each of these characters. Now I’m excited to see who you will marry, date and dump. Let me know in the comments! This entry was posted in Marry Date or Dump and tagged Augustus Waters, books, Eleanor and Park, gayle forman, if i stay, John Green, Rainbow Rowell, TFIOS, YA Books by Alison Doherty. Bookmark the permalink. Marry Augustus always, always, always. Really strong choices. I would definitely dump Adam as well (even though I also loved his books). 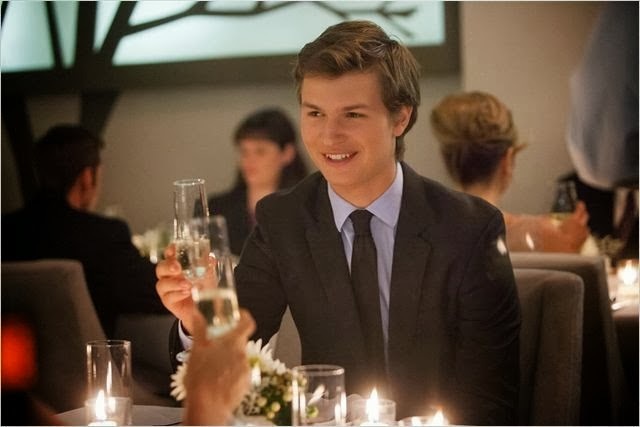 Not sure if I would marry Augustus or Park since I loved them both so much!